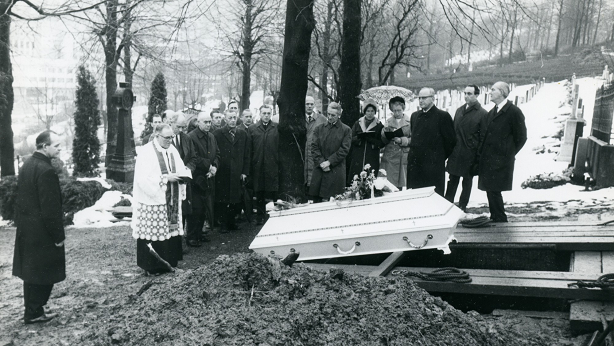 In 1970 the corpse of a woman was found near Bergen, Norway. In her car police found encrypted notes. These notes were deciphered, but the identity and the cause of death of this woman have remained a mystery until today. 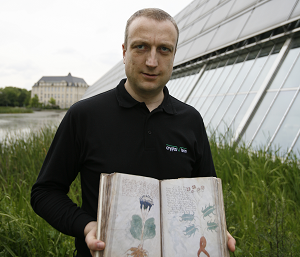 Thanks to blog reader Bjarne, I can now present a few new facts about this strange story. The story of the Isdal Woman has everything a journalist likes – secret services, an unexplained death, an unidentified corpse, a good-looking woman, and an encrypted notebook. A story like this is usually covered in numerous newspaper articles and TV features. However, the Isdal Woman mystery appears to be an exception. So far, the media outside of Norway have shown little interest in this spectacular case. At least, this gives me the chance to write almost exclusively about this mystery, although cryptography only plays a minor role in it. “Isdal Woman” is the name given to a woman found dead at Isdalen Valley, Norway, on November 29, 1970. The Isdal Woman has never been identified. She died from a combination of burns and carbon monoxide poisoning, and an autopsy showed traces of at least 50 sleeping pills in her body. The woman was described as 30-40 years old and good-looking. Police found out that the Isdal Woman had travelled around Europe with nine different false identities. She was traced to two suitcases found in a train station nearby Bergen, Norway. The labels had been removed from the clothes she wore, her fingerprints had been sanded away. In one of the suitcases police discovered 500 Deutsche Mark. Witnesses reported that the Isdal Woman had spoken French, German, English and Dutch. One person testified that she had said “Ich komme bald”, which means “I am coming soon” in German. Authorities eventually concluded the woman committed suicide. In the trunk of the Isdal Woman’s car police found several cryptic diary entries. These cryptograms are the reason why the Isdal Woman is covered on this blog. 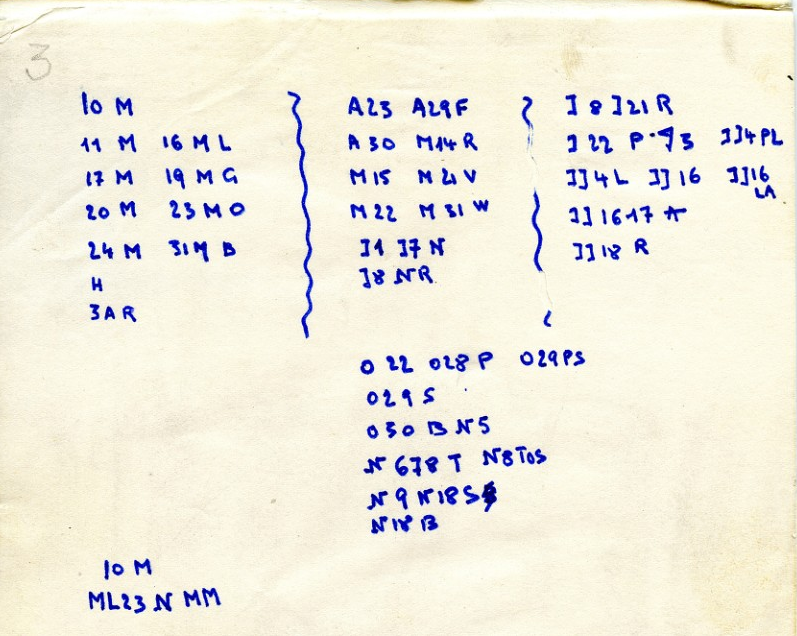 Police codebreakers had no trouble in deciphering these notes. The details are available in my blog post from October last year. My first two posts on the Idsal Woman (in German) were published in 2015. Here is an article published by a Norwegian news portal (in English) about new developments in the Isdal Woman case. This article has also been published in German. Here are a few identikit pictures of the Isdal Woman. There’s also a kind of wanted poster. This article contains a few police pictures. 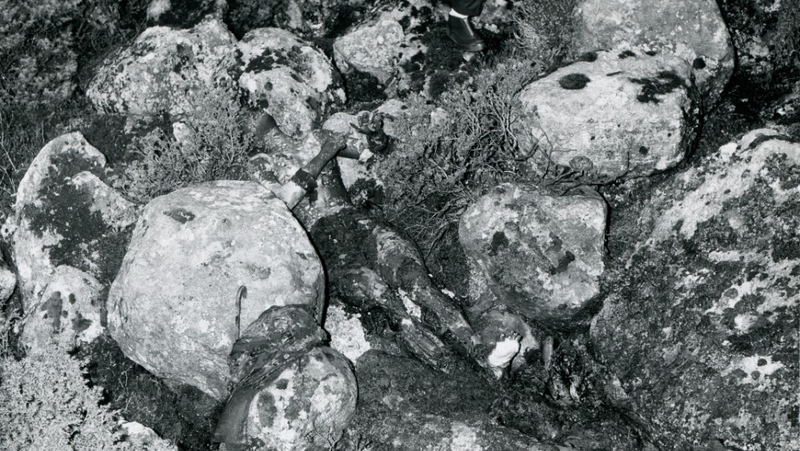 The following one shows the corpse as it was found on November 29, 1970 (courtesy: The Police/Bergen State Archives). 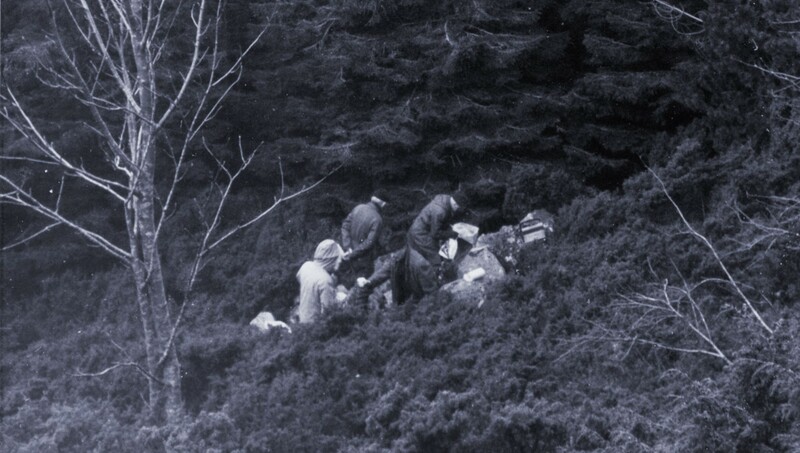 The following pictures shows forensic technicians at the crime scene, on the day after the woman was found (courtesy: The Police/Bergen State Archives). 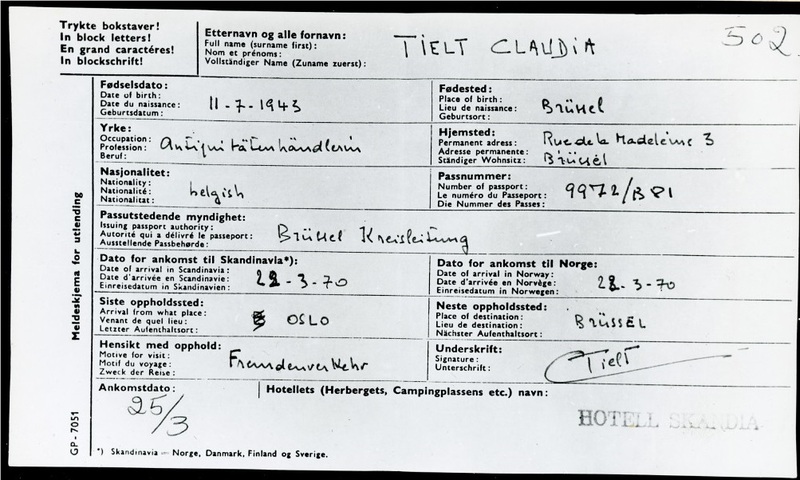 The following scan shows a hotel registration form the Isdal Woman filled in using the false name Claudia Tielt. The nationality stated is Belgian. Blog reader Thomas and others pointed out that this form contains a few inconsistencies. The form is filled in in German, as words like “Antiquitätenhändlerin” or “Fremdenverkehr” indicate. The word “belgish” doesn’t make sense, it might be a misspelled version of the German word “Belgisch”. But why would a Belgian woman fill in such a form in German? As my readers pointed out, the word “Kreisleitung” was mainly used in Eastern Germany. Was the Isdal Woman an Eastern German agent? As it seems, the Norwegian secret service started investigations soon after the corpse had been found. This is not very surprising, as a woman using false identities almost certainly was a secret agent. However, these investigations have been kept secret for decades. It is well possible that the Norwegian authorities declared this death a suicide just to cover up the real facts. According to new evidence, the Isdal Woman went to several places where tests of a newly developed sea missile took place. Police recently took DNA samples from some of the Isdal Woman’s mortal remains. This might help to identify the woman herself or relatives of her. So far, nothing has been published about the results. The handwriting of the Isdal woman is typical for French speaking countries. The dentures of the Isdal Woman could be of Eastern European origin. The Isdal Woman case remains a mystery. However, we might see new evidence in the near future. Thanks very much to Bjarne for informing me about these developments and for translating many text passages. That’s bizarre that a Belgian would misspell “belgisch”, since the Dutch/Flemish word for “Belgian” is also “belgisch”. Some words in this registration form are German (Antiquitätenhändlerin, Brüssel Kreisleitung, Fremdenverkehr), not Flemish. “belgisch” is German and, as you said, also Flemish. Why should a French native use German expressions? What is the meaning of “The handwriting of the Isdal woman is typical for French speaking countries”? What – beyond certain special letters or accents – are typical nationalist characteristics of a handwriting? David: There might have lived a person with this name in Brussels in 1943 – but according to the norvegian newspaper article linked in the text, the belgian police informed, that all the identities used by this woman were faked. So, for a better legend, she might have used the identities of real (maybe dead or missed) persons. Good to see there are new developments in the case. Irgendwo im Osten oder nahen Osten gibt es ein Elternpaar, welches aus ‘Rücksicht auf übergeordnete nationale Interessen’ nicht einmal eine Blume auf dem Grab der Tochter niederlegen darf oder durfte. Thomas: Thanks for the link. But honestly – that article is by far not convincing. It ‘s no problem to find hundreds and hundreds of letters handwritten in french or from french people – but I found none, were the author in a comparable way notoriously missed the t when striking it with the crossbar. I found a lot of other quirks – Marcel Proust for example wrote the t like the handwritten letter l with a bar, so that the t sometimes looks like an f. His ‘partout’ reads like ‘parfait’… Others (letters from adult people) show the same infant style you find in handwritten texts from german pupils. look how the dates are written, look at the number one “1”, thats at least not german style writing. According to the Wikipedia entry the encrypted notes were found in the suitcases in the train station. I’m not aware of a source in which a car is mentioned. According to NRK, further analysis of the teeth has revealed that she must have been born around 1930, +/- 4 years. oder gibt es das auch in anderen Ländern?